Dr Yvonna Szyszko is a specialist oral surgeon, bringing with her a wealth of expertise and experience to the practice. Yvonna graduated from Guy’s and St Thomas’ Dental school in 1996 and after completing her vocational training, worked in oral and maxillofacial surgery before taking up a lecturing post at the University of Sydney, Australia. Following her return to the UK in 2003, Yvonna joined Ravenscourt Dental Practice and quickly won over patients and colleagues with her professionalism and interactions with patients. Yvonna provides a wide range of procedures, including wisdom tooth extractions, apicectomies, sinus lifts, bone grafting and dental implants. She also works in hospital in the speciality of oral and maxillofacial surgery. Yvonna has a gentle approach to oral surgery and prides herself on her work with nervous patients. 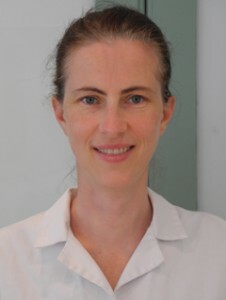 Yvonna is on the General Dental Council specialist list for oral surgery and has completed an MSc in implant dentistry. She is an examiner at the Royal College of Surgeons for postgraduate exams (including oral surgery). In addition, with her wide knowledge of facial anatomy, Yvonna also provides facial treatments having completed her facial aesthetics course in 2003. Away from dentistry, Yvonna is a married mum-of-three boys who enjoys keeping active by playing tennis and badminton.